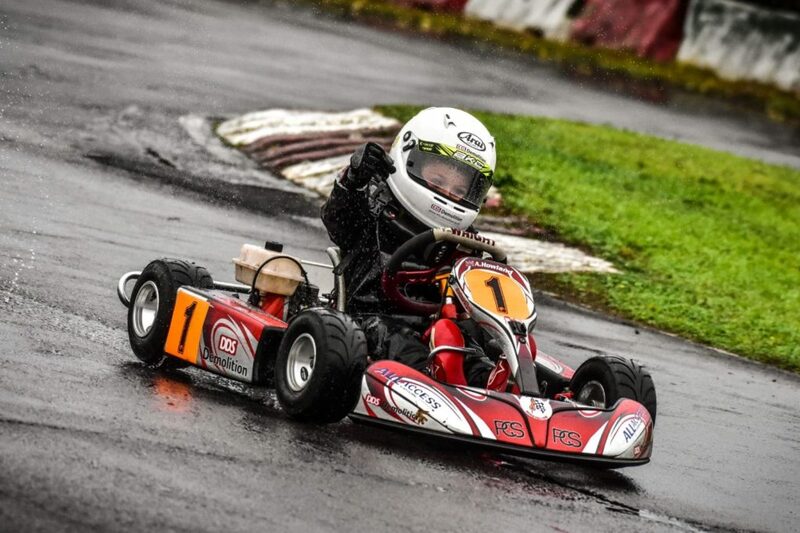 Alfie Howland has won the 2018 BKC Series for the Comer C50 Bambino class in a tight contest. Championship victory came for Alfie by just 8 points (after dropped rounds), ahead of fellow Wright Centaur driver Seb Moore, in a nail-biting finale to the 2018 season! 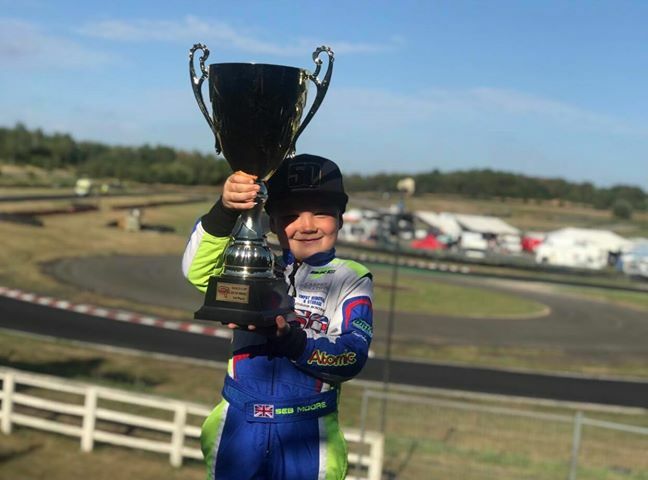 It was a last-minute decision to even take part in the BKC series for Alfie Howland, but it turned out to be a very wise choice. After seven months, 5000 miles traveled, and 10 Championship rounds Alfie has been named 2018 Champion, following in the footsteps of previous Wright Centaur driver, 2017 Champion Joseph Katsantonis. 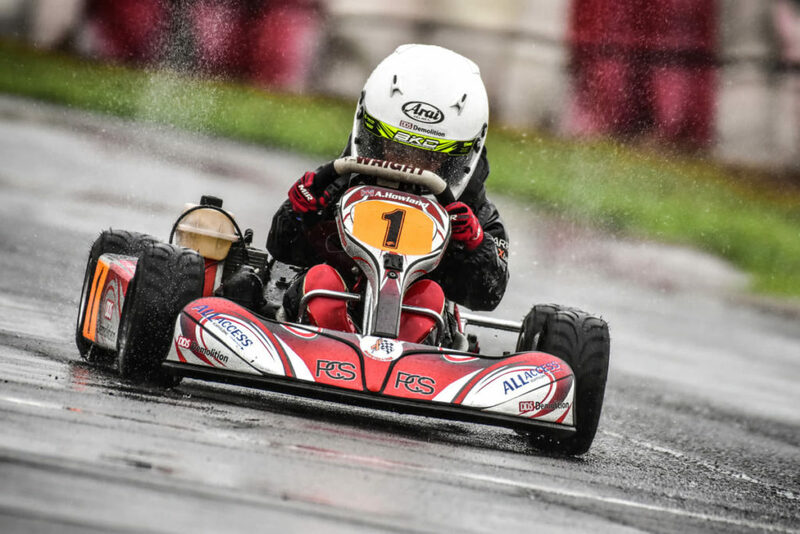 From the outset Alfie looked at home in the BKC Championships, notching up a respectable 80 and 86 points in the first two rounds, and things were just going to get better. 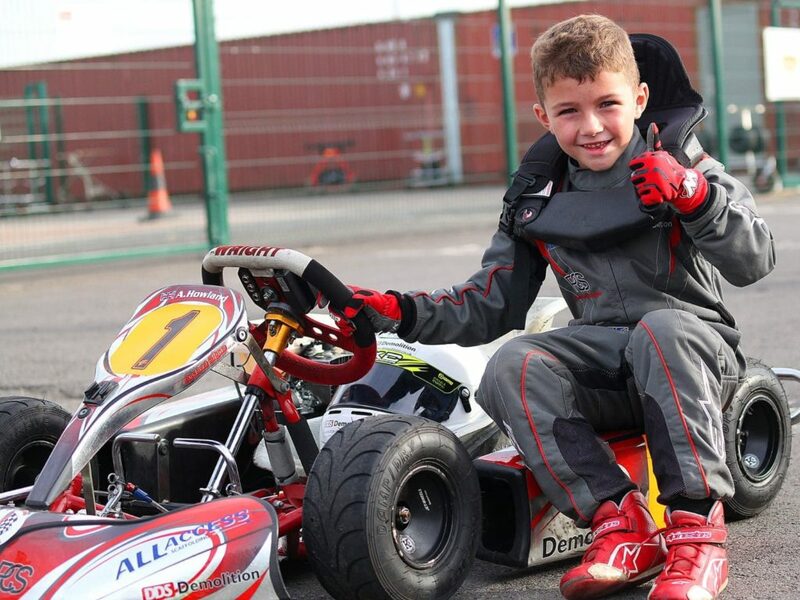 Rounds 3 to 10 consisted of 5 victories and 3 other podiums showing just how consistent Alfie has been all year. This was not the end of the story though. Matching Alfie all year, almost stride for stride was Wright Centaur compatriot Seb Moore, who had an equally impressive set of results. As the chequered flag dropped at round 10 of the Championships, at a very wet and windy Fulbeck kart circuit, it was Howland who took the Championship victory by just 8 points from Moore, in what turned out to be a two horse (Centaur) Championship, the two drivers ending almost 100 points ahead of third place in the Championship (Jessie Phillips). 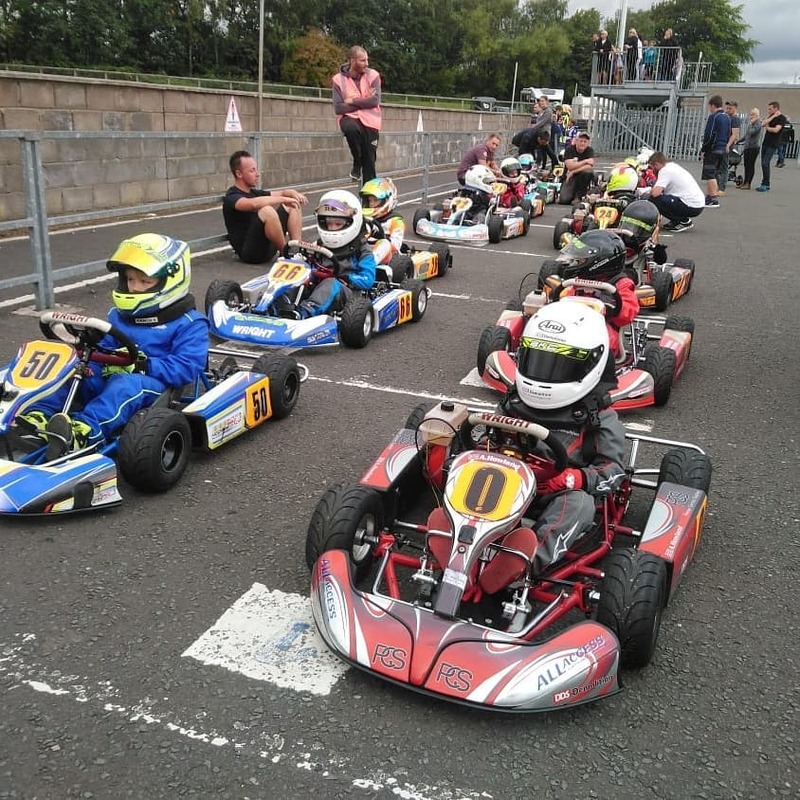 I retrospect, the 2018 season for Howland and Moore was typified in Alfies nail biting “O” plate victory at Rowrah kart circuit in May, taking the victory over Moore by just 0.01 seconds – what would be a template for the years thrilling and compelling main Championship. Congratulations to both Alfie and Seb on an outstanding year! We look forward to seeing your progress in 2019!